Throwing a party but not sure how and where to get food? Let Go-Grill-Lah take care of that for you! 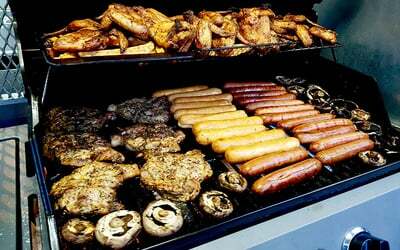 With their BBQ cart, they bring the barbecue to you as they are equipped with the necessities to feed the party. On top of that, they even provide cutleries and plates so you can take your mind off the food part of the party. Valid from Aug 7 - 31 Dec 2018. Valid Mon - Sun: anytime, including public holidays. Customers are advised to confirm booking at least 10 days prior to the event date. Voucher is not redeemable or exchangeable for cash. Voucher is to be presented at delivery of order. Subject to availability of Go-Grill-Lah at your location and date. Menu and more information can be found at their website and Facebook page.